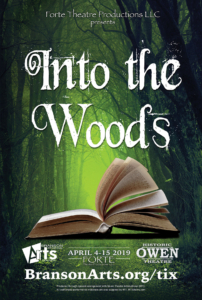 Forte Theatrical Productions and the Branson Regional Arts Council are excited to team up for the second musical of the 2019 Season at the Historic Owen Theatre, Into The Woods, with performances running April 4 – 15. After a completely SOLD OUT run of Disney’s Beauty and the Beast, theatre goers may wish to purchase their reserved seats for this next production soon, to insure a seat. 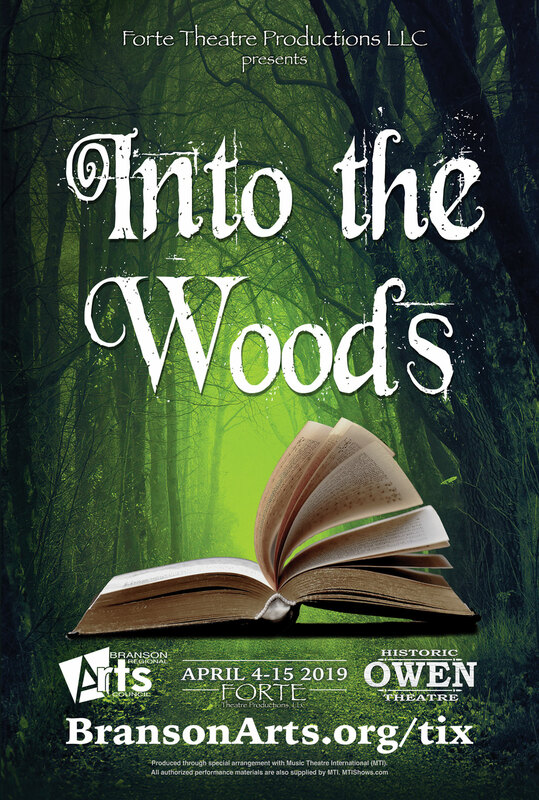 The cast for Into The Woods include: Michael Salsbury (Narrator/Mysterious Man), Jacob Cummings (Baker), Karrah Fleshman (Baker’s Wife), Brielle Mae (Cinderella), Traven A. Harrington (Cinderella’s Prince/Wolf), Ryan Hippe (Jack), Mariah Garrett (Jack’s Mother), Cassandra Cummings (Little Red), Kristen Ables (Witch), Tiffany Bear (Rapunzel), Tobi Nordlund (Rapunzel’s Prince), Bethany Hansen (Stepmother), Audrey Roberts (Lucinda), Charis Boulden (Forinda), Jenny Day (Cinderella’s Mother/Granny), and Brian Huff (Steward). 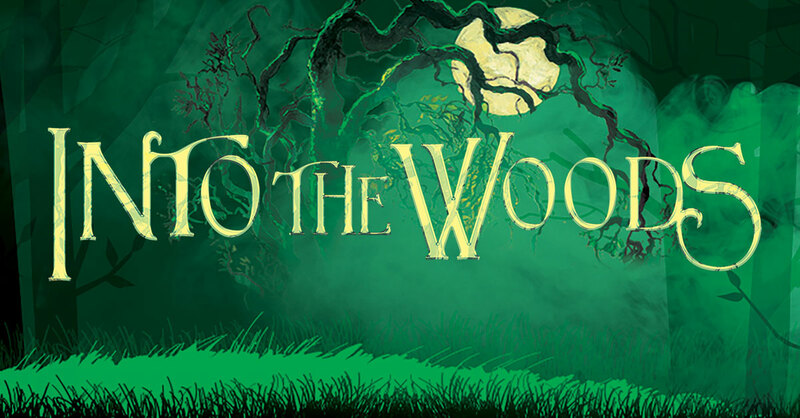 The production team for Into The Woods include: Tina Cool-Anderson (Producer), Justin Ables (Director), Nate Frank (Musical Director), Delyla Uebel (Accompanist), Mary Huff (Assistant Director), Cori Biggs (Choreographer), Brian Huff (Fight Choreographer), Jonathan Crum and Laura Cook (Costumes).